When Firmoo contacted me to ask if I’d do a Firmoo glasses review, I jumped at the chance. I had LASIK awhile back, and while I don’t miss the hassle of having to deal with glasses and contacts, I miss having glasses as a fashion accessory. 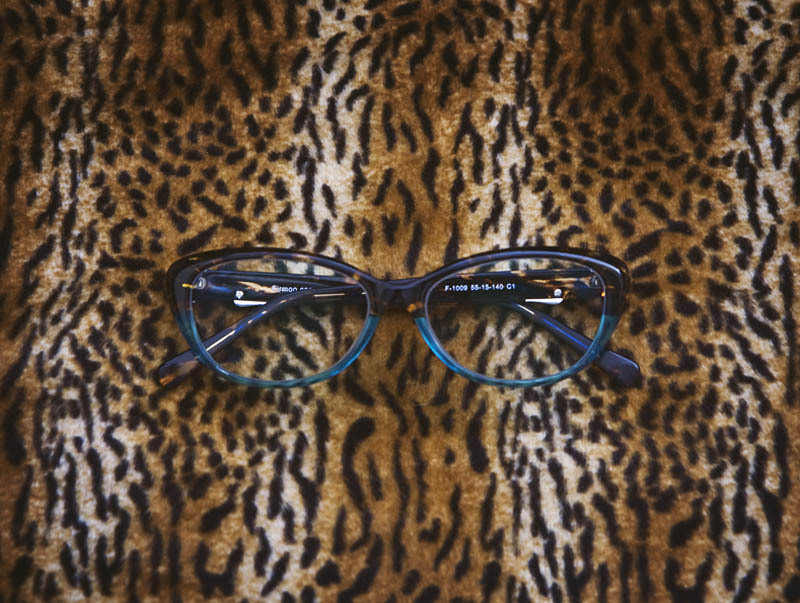 Being the retro-fabulous girl that I am, I’ve always leaned towards glamorous cat eye style frames (big surprise), so I was psyched to see these retro-cool turquoise and tortoiseshell frames! Firmoo.com has a lot of different styles, but these were mine at first sight. Firmoo.com has useful and well-thought out search filters which allow you to narrow your choices based on frame type, material, color, shape, size, and price. And with a complete pair of glasses starting at $19 and maxing out at $39, you can browse without too much concern for price. 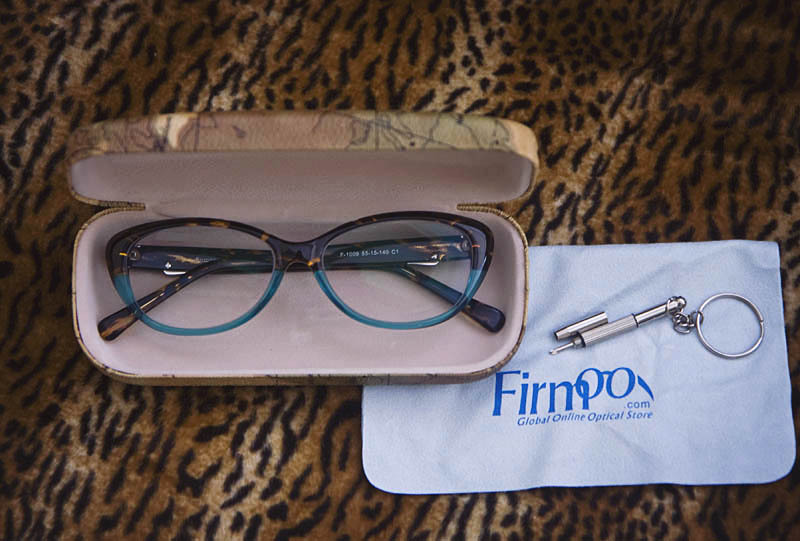 I know from past experience that choosing the right frames can be a bit tricky, but Firmoo gives comprehensive measurements and information about each frame. They even have reviews, and photos of customers wearing the frames, and you can upload a photo of yourself and virtually try on any frame on the site! The checkout process was very straightforward. 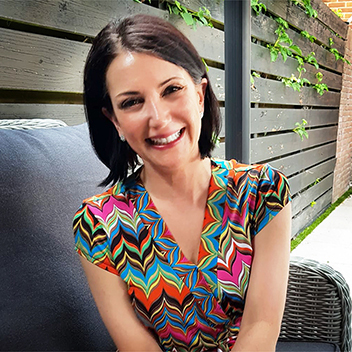 I had a choice of single vision, multifocal, or non-RX, and standard lenses which are free, or premium or blue-light blocking lenses at an upcharge. Anti-scratch coating comes free on all lenses, and it’s also possible to upgrade to anti-reflective, UV-coating, or ultra thin lenses. Communication throughout the process was great. I had 24 hours from the time I placed my order to make changes to it. The glasses shipped two days after I placed my order and were delivered four days after that. Not bad! I’ve waited longer for glasses from my local optician, and paid a lot more for them. I was very impressed with the quality of the glasses and the accessories they included with the order. At this price point, I thought I’d be lucky to get an ugly case, but the glasses came with a very attractive case, a cleaning cloth, a storage pouch, and even a mini-screwdriver… how cool is that? I’d definitely recommend Firmoo to a friend, and if Robert should need a pair of reading glasses, Firmoo will be my first port of call ;-) Their glasses are a bargain and even if ordering glasses online isn’t usually your thing, they’re still worth considering for that spare pair you’re always meaning to get. And if you’re not happy with your glasses, you can return them for an exchange or refund… so really, there’s nothing to lose! Disclosure: I received a free pair of glasses from firmoo.com in exchange for an honest review. I didn’t receive any compensation for this post and all opinions are my own. I’ll earn a small commission for any order placed through one of the links in this post. Those frames are so cute. I have to wear glasses or contacts and I’ve found the older I get, the more I hate dealing with the hassle of contacts. For that reason I wear my classes a lot. I love the more vintage styles like the cat eye frames. Those are adorable glasses! I don’t wear glasses, but my mom does so I will pass this info along to her. That sounds like an awesome service to get glasses with the case and accessories. I do enjoy online shopping where I can return or exchange online – so much easier to do that than drag our kids around stores! If I return or exchange the glasses, how about the return shipping? Will I be charged for it or Firmoo will be responsible for the shipping back fee? I like shopping online for clothes and shoes but glasses is a new thing I haven’t tried to order online. I have ordered from Firmoo for several years, and they are fantastic! I also order from Zenni.com. I even have my hubby hooked–he wears progressive bifocals and for around $50 a pair, it’s a steal! I’ve been wearing glasses since I was 12. I also wore contacts for 20 years. When I think about all the money I spent I swear I feel violated. :) We have a fantastic opthamologist that we visit yearly. After that, it’s numbers on a card. Online is the way to go. I need to order a new pair to go with my new prescription. I keep putting it off since I got the new prescription from the eye doctor this fall. I need to look into ordering online for glasses. Those glasses look really cute – it’s amazing how easy it is to buy glasses online these days. I always worried about not liking it when I made a purchase recently but the reality is that I would spend so much time trying them on in a store that they would all blend together anyhow. At least online you have a huge selection and nice ways to filter it to find exactly what you want. Firmoo are so big within the blogging world aren’t they, I see them advertised EVERYWHERE! Those frames are really chic and stylish, the hint of blue with the tortoise shell is really pretty. It’s great that you’d recommend the brand to a friend. Fellow specks wearer here. I’ve not heard of Firmoo. So learning about it from your post here is fantastic. Your frames are quite cute. I need to go for an eye exam soon. Not knowing anything about the brand until this post, it is interesting to learn they are rather affordable. If you wear glasses, then you know a nice pair of frames can set you back a pretty penny. Even if you do have vision insurance. I have a pair of Firmoo glasses and LOVE them. I have had them for two years ,and they have held up very nicely. I love how durable they are. I need to order another pair soon and will use them again. The pricing is SO affordable too.